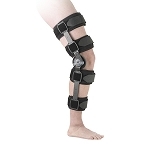 Functional or Post Op Surgery knee braces are designed for a person that has already suffered an injury to the knee. 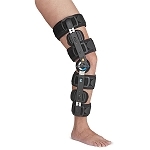 The Post-Op surgery knee brace is indicated for ligament and fracture-related surgeries and when controlled range of motion is necessary. 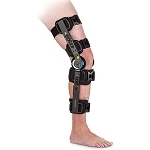 As and example, Functional / Post-Op knee braces can be an aid to someone that is recovering from an ACL injury.